To help you find the best location for your Murarrie office, the OfficeSpace.com.au site allows you to quickly find and get the vital information about each of them quickly and easily. We have an extensive range of buildings available, most with flexible rental terms that can be adjusted to suit your company's needs. Located in eastern Brisbane, Murarrie is a thriving suburb serviced by a train station and bus services. Until recently the strongest business sector was light industrial, and several commercial parks exist. Murarrie is an ideal choice for a company location, situated close to the CBD and already hosting the offices of many prestigious international corporations. Our goal at OfficeSpace.com.au is to help your company find the perfect work environment, arrange a rental agreement that suits you, and get you into your new office space as quickly and easily as possible. There are a range of office types, from conventional space to serviced offices to work space in shared offices to fixed desks and office suites for teams and larger organizations. We will be happy to help you navigate the options and find the office that is best for your business. A wide selection of the business centres are inclusive of a range of support services which include office administration, reception and on site IT support staff, high speed internet and WiFi services, lounge and meeting room amenities. In addition, a number of the office buildings provide free car parking, 24 hour access, dining facilities and break out areas. We would love to help you find your perfect office. Simply select one of the offices for rent in Murarrie on this page. The office space listed on this site is in an ideal business location, and is available for immediate lease on flexible terms. 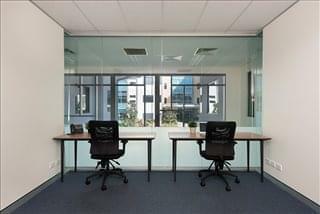 We have more office space available than ever and prices to suit every budget, and businesses of any type should be able to find the offices they need using OfficeSpace.com.au. Contact us and we will be happy to help find the ideal office space.